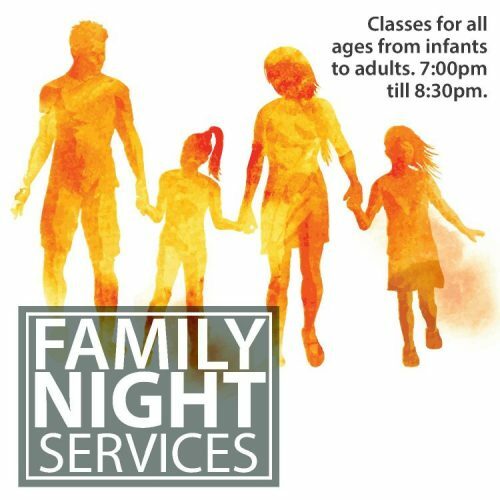 7:0 0 – 8:30 P.M.
Our Wednesday night service is what we call our “Family Night” – like a Super Sunday school. 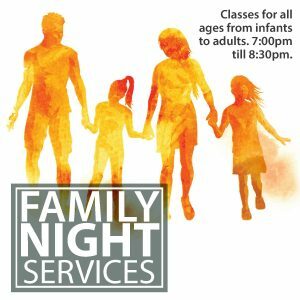 We have classes for all ages, as well as specialty classes ranging from health and wellness, knowing what you believe, truth project, evangelism, financial peace seminars, studies on world religions, and Christianity 101. Often field trips and outreaches take place during these times as well. You never know what may take place on a Wednesday night. Come check it out to see. In addition, His Place café is open from 6:15 – 6:55 p.m. with hot coffee and tea on us, and specialty drinks, soft drinks and snacks available for purchase. For more information about specific age groups, check out one of the menus on the right.